Currents in a river can run stronger than the surface suggests, until you wade in and find yourself going for a ride. Fans of Victoria, B.C. 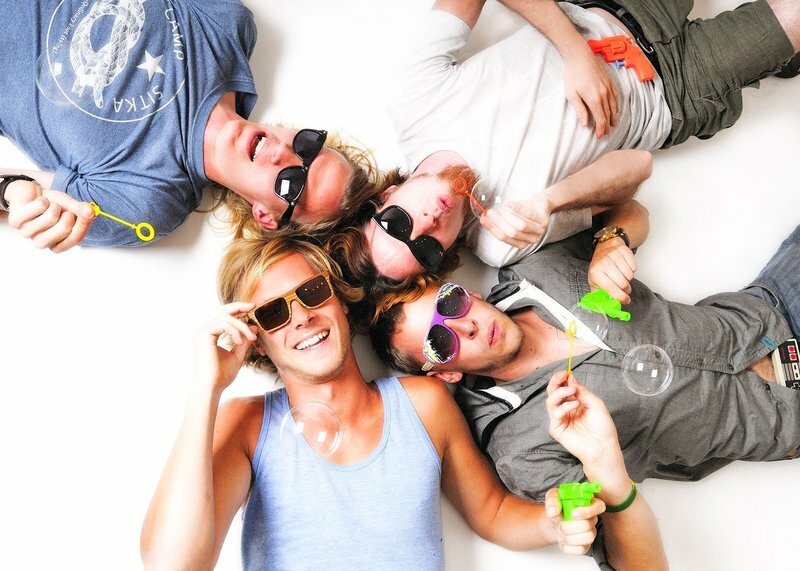 's Current Swell have been flowing along to the band's eclectic rootsy rock music for more than five years. 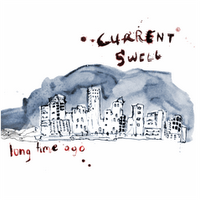 Now, after winning the top prize of $100,500 last week in Vancouver's PEAK Performance Project and with a month-old album that reached #1 on iTunes Canada singer-songwriter charts, Current Swell is poised to break the surface. And that's just swell with them. "We're pretty stoked," said vocalist and lead guitarist Scott Stanton about winning in an interview with N2DS2W on Sat., Nov. 19. "There's an insane amount of buzz in town. I haven't stopped smiling." That buzz hits London, for the first time ever Windsor, and Sarnia this weekend as Current Swell play back-to-back shows with Windsor's Michou (who took home Artist of the Year from the 2011 Verge Music Awards). "We're really excited for our first Windsor show and playing with Michou," said Stanton. "Sarnia has drawn the biggest crowd for us out east, almost like a hometown show. We played a smaller bar and it was packed with fans who knew all the words to our songs." Stanton said fans were already singing along to songs off of the band's fourth album, Long Time Ago, at shows immediately after its release in Canada on Oct. 25 (U.S. fans will have to wait until January). "The response has been unbelievable," he said, even though despite its title, Long Time Ago is a departure from its predecessors. "In the past, we jumped all over the place as far as genres, reggae, blues, folk rock," Stanton explained. "This one is different in that it's very cohesive. We wrote a lot of songs, then distilled them down to five we knew had to be on the record, and then picked the rest to make it the most cohesive. We're very proud of it." As they should be; the album is thoughtfully and beautifully crafted, with a mellow front porch-music vibe that sheds the surf-rock label frequently used to describe their earlier work. Stanton said he and songwriting partner Dave "Davers" Lang are most partial to the emotionally-charged "Brad's Song" (see video below) written in memory of a friend who passed away. "Family and friends remember a loved one who's died by looking at pictures," Stanton said. "I get to remember Brad every time I sing that song." Veterans of Canada, U.S. and Australia tours, Current Swell has opened for Bedouin Soundclash, K-OS, K'Naan, Ron Sexsmith and even the Beach Boys. They've played on stages at the Ottawa Bluesfest, the 2010 Olympics, Junofest and Rifflandia. Far from peaking, Stanton says "We put tons of thought into what we'd do with the money" from the Peak Performance Project. "It was simple for us. We knew we wanted to invest it back into the band and push our music around the world." Current Swell is: Dave "Davers" Lang (guitar and vox), Scott Stanton (guitar and vox), Aaron "Ghosty" Wright (bass), Chris "Chrispy" Petersen (drums) and Dave St. Jean (percussion, trombone; not touring with the band due to other commitments). Additional tour dates: Nov. 30 @ Nicky Zee's, Fredericton, NB; Dec. 1 @ Baba's Lounge, Charlottestown, PEI; Dec. 2 @ Pavilion, Halifax, NS; Dec. 3 @ Manhattan's, Moncton, NB (all shows with Michou).